A number of people were evacuated this afternoon (Friday, February 26)from Craigavon Area Hospital due to a fire alert. It is understood smoke was detected in the basement of the hospital. 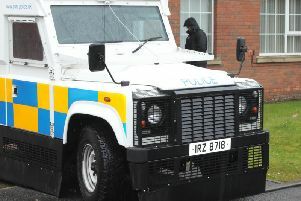 The Northern Ireland Fire and Rescue Service were in attendance. The Southern Trust have advised the Fire Service were called “as a precaution” and there is no need for alarm as the situation is “under control”. A spokesperson for the Trust said: “No patients have been affected and there is no need for alarm but we would appeal for visitors or anyone who does not absolutely need to attend the hospital to avoid the site. NIFRS confirmed they were in attendance at the scene but that no further details were available at present.